Are you a fan of greek yogurt? 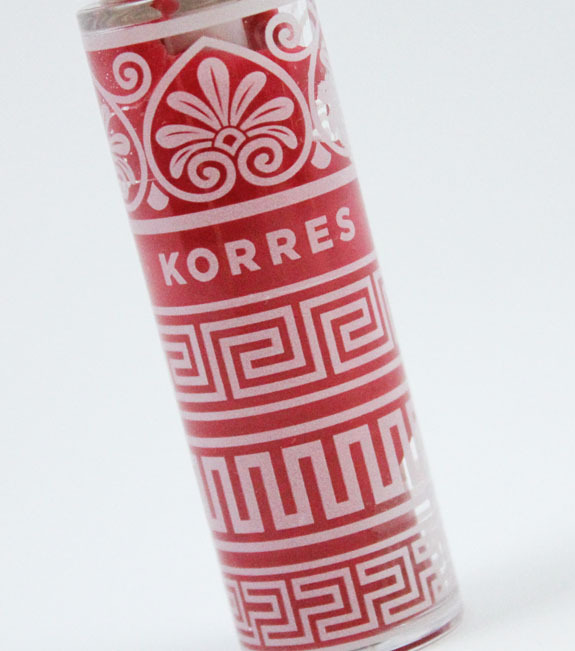 Well Korres Greek Yoghurt Nourishing Lip Coolers contain actual Greek yogurt as well as many other yummy ingredients. There is a long-standing Greek tradition of applying yogurt to alleviate dry or sunburned skin. It’s a centuries old remedy and contains proteins, minerals and vitamins that help with short and long-term moisturization. The Lip Coolers come in four shades: Raspberry, Strawberry, Peach and an un-tinted one called Plain (get it? Plain yogurt!). They come in a really pretty printed tube and the applicator is a little different as well. 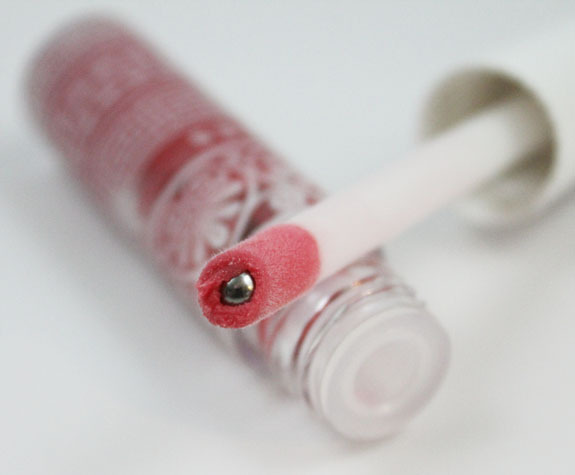 It has a cooling metal ball which really does make your lips feel cool and soothed as you are applying it. Raspberry is a sheer raspberry pink shade. It’s not so much shiny and lip glossy as it is a soothing slightly tinted lip balm. It feels really nice going on because of the soothing, cooling ball and it’s very moisturizing. 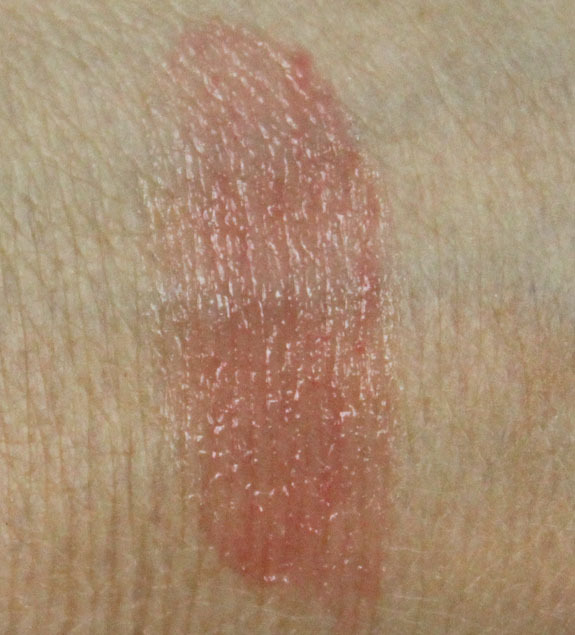 I had plain as well but obviously it’s invisible, so no swatch! These contain not only Greek yogurt but also shea and cocoa seed butters as well as jojoba oil for moisture and softening. Overall: I am really kind of digging these not because they offer tons of color and shine but because they feel really nice. They feel like a really fancy lip balm and definitely make my lips happy! They smell and taste kind of yogurt-y, whatever that means. I can’t explain but there is a nice light taste and scent to them. Pricing: $19.00 for 0.15 oz. Is this something you would try out? Isn’t the packaging cute?